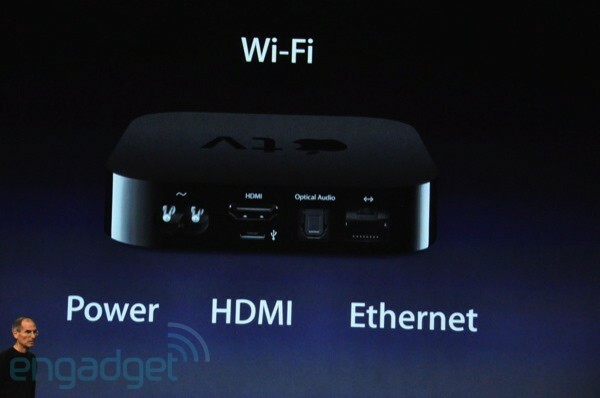 New stuff from Apple today. 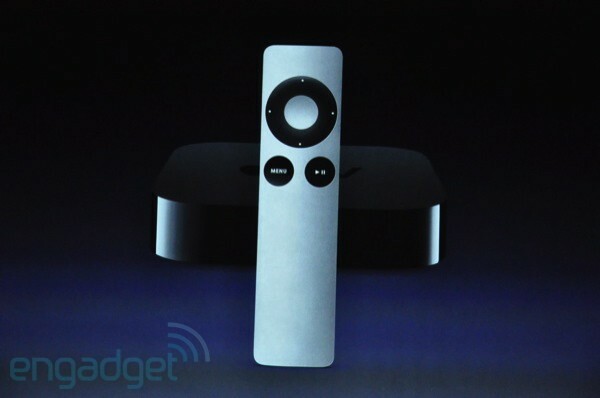 There’s reportedly a live video stream, but I’m following the liveblog at Engadget. New $49 iPod shuffle—and they’ve restored the buttons. 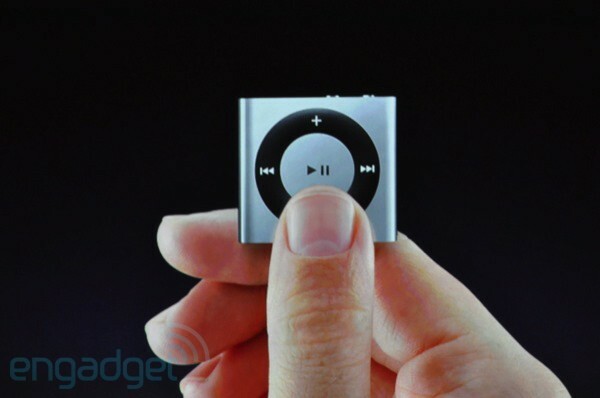 A return to the money-clip design, just large enough for the button pad. Looks the way it should. 2 GB. 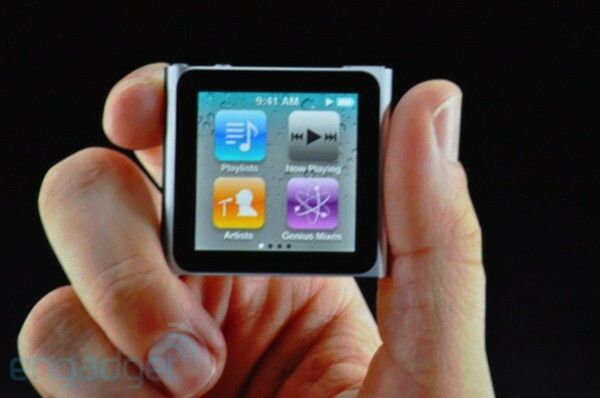 New iPod nano: Small, square multitouch screen! It’s almost all screen. Wow. And it’s a money-clip design, too. 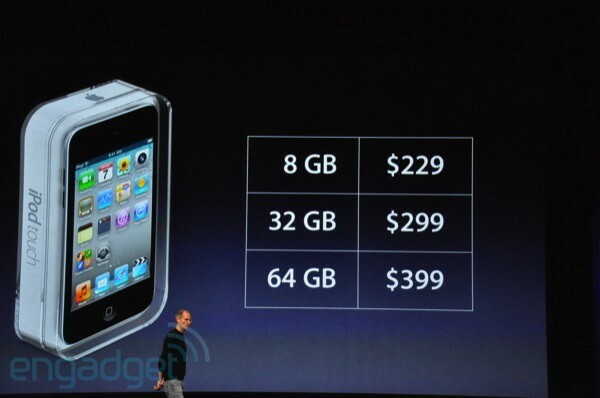 $149 for 8 gigs, $179 for 16 gigs. 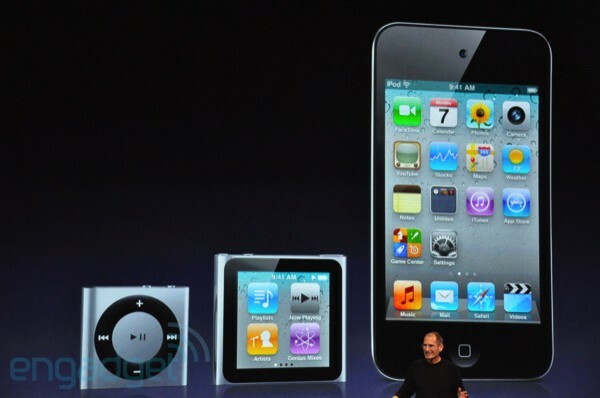 New iPod touch with Retina display. Well, we saw this coming. 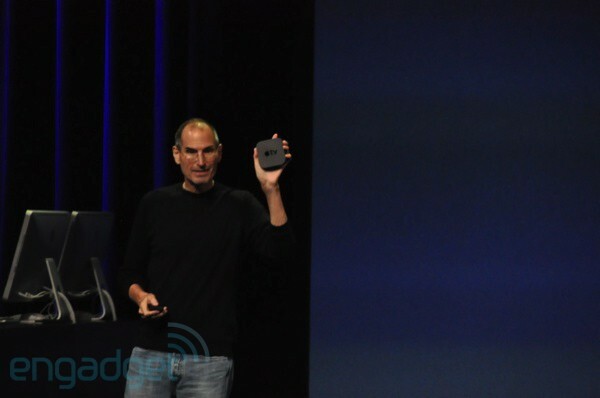 The new case design isn’t like the iPhone 4, but is slimmer than the previous touch. 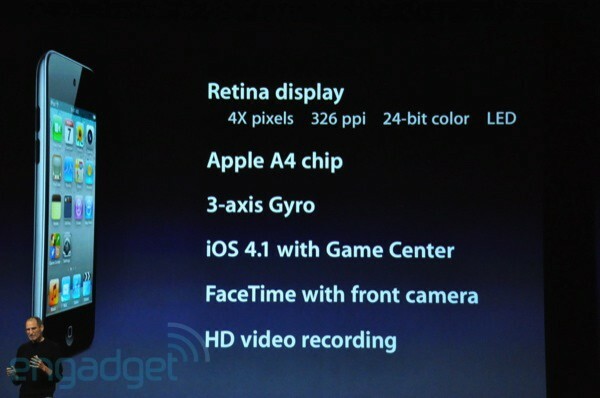 Including a rear camera with HD video. Even if it still doesn’t have a GPS, dang it. That would be awfully useful. 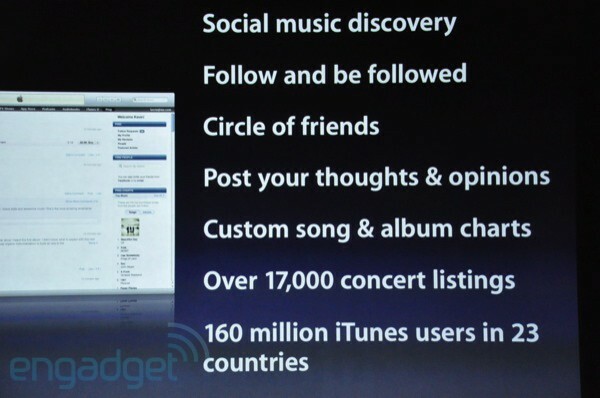 iTunes 10 is a new update, including Ping, an iTunes-centered social network. 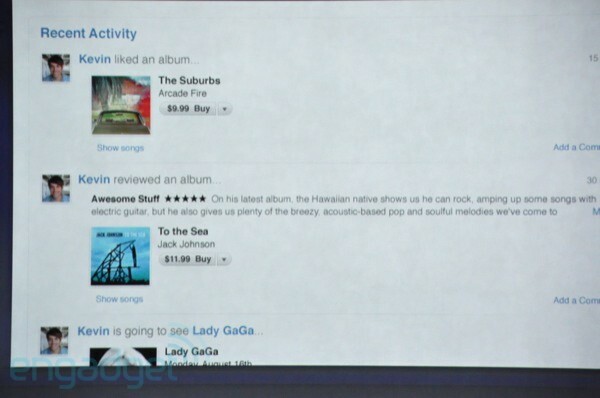 Friending, following, liking, status updates, reviews, artist and concert info. And hello, it’s on the iPhone and iPod touch as well. Hell yes. 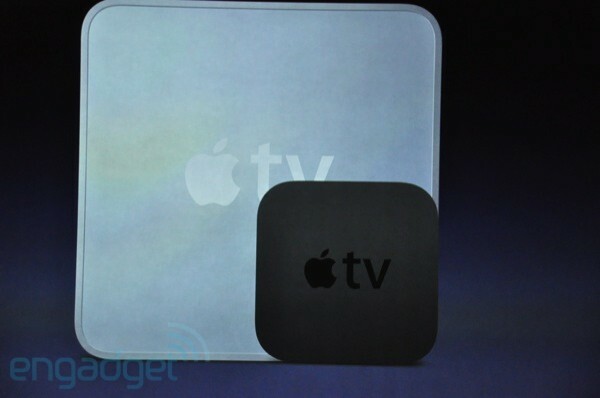 And Jee-hoshaphat, the new AppleTV is somewhat smaller than the previous model. 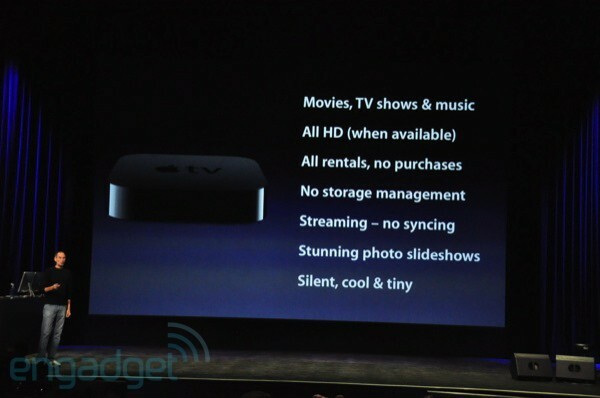 Includes YouTube videos, Flickr and mobileMe photos, and Netflix streaming. ABC and Fox are on board for TV episode rental ($0.99 for HD video), so far. 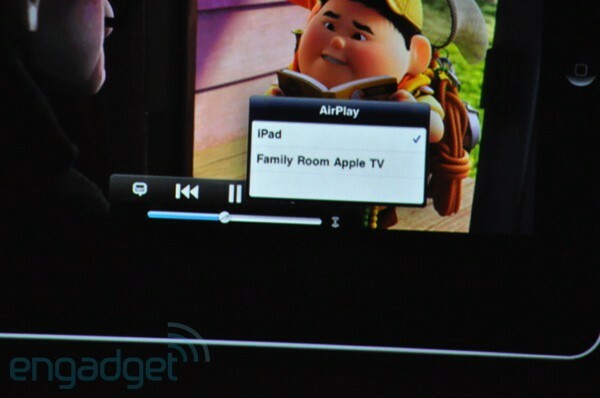 AirPlay (formerly AirTunes) lets you stream audio, video, or photos to the AppleTV from an iPad with two taps on your screen, or from a computer with iTunes. 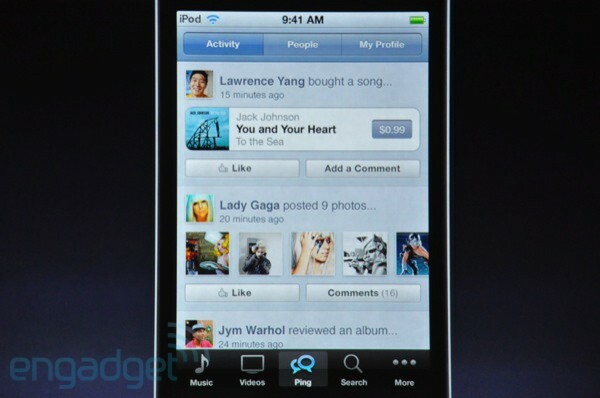 Wonder if it’ll also be on the iPhone/iPod touch. All these photos are hijacked from Engadget’s excellent-as-usual liveblog, which has much more detail and many more pictures.